Oven Cleaners Commercial & Residential Kitchen UB Uxbridge | Quality Property Care Ltd.
For a more professional touch, with guaranteed results each time call 020 3746 4287 and let our company clean your entire kitchen. We work efficient and fast, no delays or complications, contract and deposit free. As an trusted cleaning expert that has been in the industry for many years, Quality Property Care Ltd. is a professional oven cleaning company that can take care of all types of ovens. We disassemble the devices for more detailed cleaning. In the end, we re-assemble them with no extra charging. Submit an order for flawless oven cleaning in Uxbridge UB. Make your dishes nicer and healthier. We will remove all the stubborn stains and burnt. We also eliminate the organic leftover residues and the sticky spots. Feel the difference in your shiny kitchen and enjoy your cooking with a sparkling clean oven. It is cheap and easy now! With our professional oven cleaning services in Uxbridge UB, you are also free to book all kitchen appliances sanitising. You can combine the service with another one from our cleaning range. Thus, you will get a special discount. All regular customers get regular discounts, too. 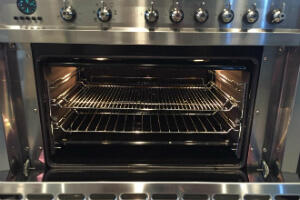 The expert oven cleaners from Quality Property Care Ltd. will first test your oven or other appliance together with you, and then proceed to disassemble it into parts. 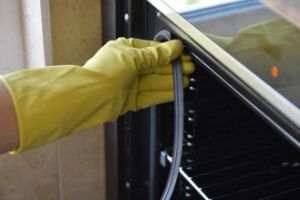 The cleaning technician removes all racks, trays, panels, pans, extractor filters, control knobs, fans, the light protector and dips them in a completely safe, professional and efficient detergent for a few minutes. After that all the parts are scrubbed meticulously with sponges and wire brushes for some final cleansing from all the burnt on carbon, grease and dirt. They are rinsed off and left to dry. Then the oven is put back together. It is tested once again. It can be used for cooking tasty and healthy food right after the cleaning is done. To ask about current discounts, and to book the professional oven cleaning services, you need to call on 020 3746 4287 or send an online booking request. You will receive a written confirmation in your email and as a SMS. No deposit is required, and there are no hidden fees in this service. Combining more than one cleaning services will earn you very attractive discounts.